The bombs that killed three people and wounded nearly 200 yesterday are a stark reminder that the odds are stacked against us when it comes to fighting crime. 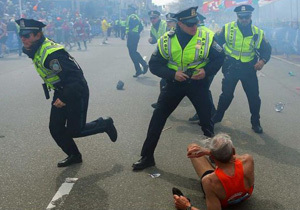 While it appears that the response of the FBI, DHS, Boston Police Department, EMS and others was reasonably coordinated and effective, these situations inevitably raise recurring questions. As the world puts its cities on high alert, many people revisit other dramatic and horrific crises, reminded that it wasn’t long ago that we were in a situation just like this. Governments, embassies, corporations and other entities have spent much time, money and energy in the hours since the Boston bombings reviewing (maybe panicking) and fortifying their protections. And while this latest horror has caused all of us to ask these questions of ourselves, there is truly only one question that matters. Is what we’re doing to protect ourselves really worth it? At a time like this, when lives have been lost, Presidents are holding press conferences and emotions are high, this question seems callous. This is not to suggest that we shouldn’t be putting protections in place – far from it. In fact, I’d argue that all too often we as human beings would rather “take our chances” than protect ourselves proactively. It’s exactly why we see businesses getting owned by hackers every day. But oftentimes we see the knee-jerk reactions caused by these events distracting us from the real objective. If we had just stayed the course and done a decent job of understanding our risks all along we may not have been so vulnerable in the first place. So we mourn our losses. These tragedies seem unavoidable, and perhaps they are. But if we don’t learn from our mistakes it is all for nothing.